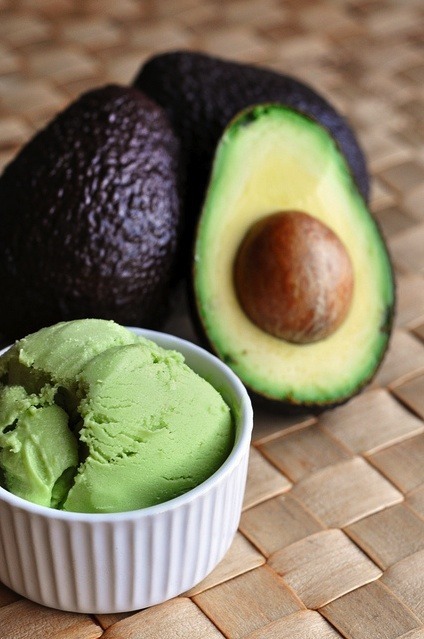 Avocado Frozen Yogurt – a delicious fresh summer treat! Two of my favourite things, avo’s and frozen yoghurt. I am in Love. Officially besotted. 1. With the lemon zest set aside, place all of the other ingredients in a food processor or blender and mix up til smooth. 2. Then scoop everything out into a bowl or ice cream maker. Stir in the zest. Tip: If you don’t have an ice cream maker, then freeze the mixture in an airtight container for about 2 hours. Then when ready, take out, let it thaw a bit, and give it another stir. I know. I LOVE an avo milkshake or mousse too. So yummy! I need to try this! YUM!